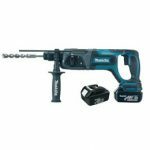 Makita’s XPH102 is an excellent hammer drill made for professionals. It’s powerful and versatile, but still lightweight and durable. For example, while it delivers 480 inch-pounds of torque, it only weighs 3.9 pounds with the battery installed. And the 4-pole motor’s compact design keeps it compact at only 7-3/4-inches long. You’ll also find that the XPH102 isn’t a one-trick pony. It has a variable speed trigger and a two-speed transmission with a wide range of speeds. Just select the gear you need with the slider on top of the drill. Plus, you can turn the hammer function on or off. 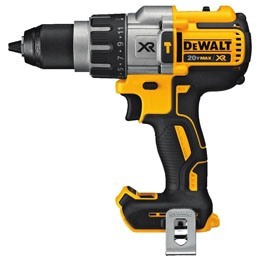 This lets you use the XPH102 to drill or fasten in delicate or tough wood, metal, and masonry. Another important feature of this pro tool is Makita’s XPT, Extreme Protection Technology, that seals the internals against moisture and dust. You can take the XPH102 drill where you need to work without worrying about babying it. Since it runs on Makita’s 18V LXT lithium-ion batteries, it can handle hard work even in low temperatures outdoors. The LXT series of battery packs have Star Protection Computer Controls so they don’t overload, overheat, or over-discharge while in use and while on their charger. Plus, the included 3.0Ah battery that comes with the XPH102 recharges in just half an hour. Finally, the XPH102 has bright white dual LED work lights mounted under the barrel. They have a few seconds of afterglow once you release the trigger, which makes the drill like a handy flashlight. 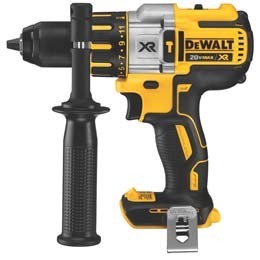 DEWALT’s DCD996B is also a top quality hammer drill designed for contractors. 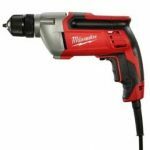 It has a brushless motor that delivers 820 unit watts out of torque, plenty for repetitive drilling in concrete. Of course, brushless motors are ideal for pro tools because they operate longer on a single charge, run cooler, and don’t need maintenance like a brushed motor does. The three-speed transmission and 12 clutch settings allow you to have great control over the power you use. That’s important when this hammer drill is rated for up to 2250rpm with 38,250bpm hammer action. To stand up to the hard work of drilling rock, the DCD996 has a ½-inch chuck made from nitro-caburized metal with carbide inserts. It’s made with the same kind of metal hardening process used by gun manufacturers on weapons. But with all these features, the DCD996 weighs just 4.7 pounds and measures 8.4-inches front to back. 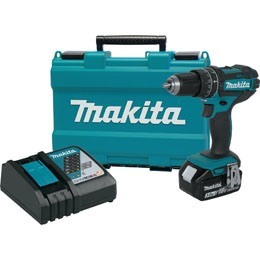 It’s larger than Makita’s XPH102, but it’s also more powerful. That’s why it comes with a removable 360-degree handle to give you additional grip on tough jobs. In conclusion, there is an LED work light mounted in the foot of the drill. Although it has a 20-second afterglow, it can also be used as standalone flashlight with a 20-minute programmable shutdown. 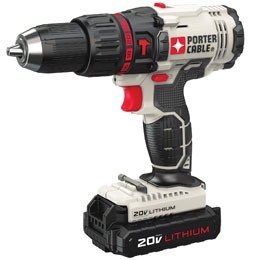 Our final pick is the PCC621LB hammer drill from PORTER-CABLE. While some professionals who occasionally use a hammer drill might be satisfied, this is probably a better choice for homeowners. On the other hand, some users report they use it as an all-around drill for a variety of jobs. The PCC621LB drill is rated for 283 MWO, or max watts out. 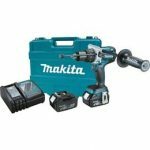 That ends up being less power than either the Makita or the DEWALT models, but it’s still tough enough to drill and fasten in masonry. The two-speed transmission offers a maximum of 1500rpm with 25,500bpm hammer action. You can turn off the hammer action for drilling in delicate materials, too. With 22 clutch settings, you can set a precise amount of torque depending on the job. That way you’re less likely to strip a screw. And at 3.6 pounds, it’s lighter than either the DEWALT DCD996B or the Makita XPH102. But it’s a little bit longer than them both, too. This shouldn’t be a problem unless you’re working in close quarters because it still only measures 8-3/4-inches front to back. Besides these features, the PCC621LB has an LED work light mounted underneath its barrel. It activates when you pull the trigger. Finally, the drill comes with two 1.3Ah battery packs and a charger. Although the batteries have a somewhat brief runtime when you’re drilling rock, you can swap packs on the charger so you don’t lose time working. If you’re a professional who needs a powerful hammer drill for regular use, consider getting either the DEWALT DCD996B or the Makita XPH102. Both are designed with advanced features for durability. The DCD996B is a bare tool without a battery or charger. But if you have other DEWALT 20V MAX batteries, you’re ready to work with it. It runs off a brushless motor for long life and efficiency, plus it can serve as a standalone flashlight on a worksite. 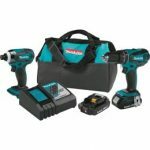 Meanwhile, the Makita XPH102 comes in a full kit with a long-life 3.0Ah battery pack, a charger, and a hard-sided case. This may prove to be a better value for you since you won’t need to purchase a battery. It’s a product with the typical fine-tuned Makita engineering perks like protection against water, dust, overheating, and over-discharging. If you’re a contractor or homeowner who wants an inexpensive hammer drill , try the PORTER-CABLE PCC621LB kit. 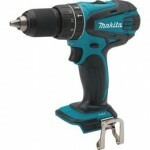 Click here to purchase Makita XPH102 on Amazon.com! 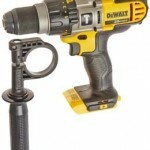 Click here to purchase DEWALT DCD996B on Amazon.com! Click here to purchase PORTER-CABLE PCC621LB on Amazon.com!